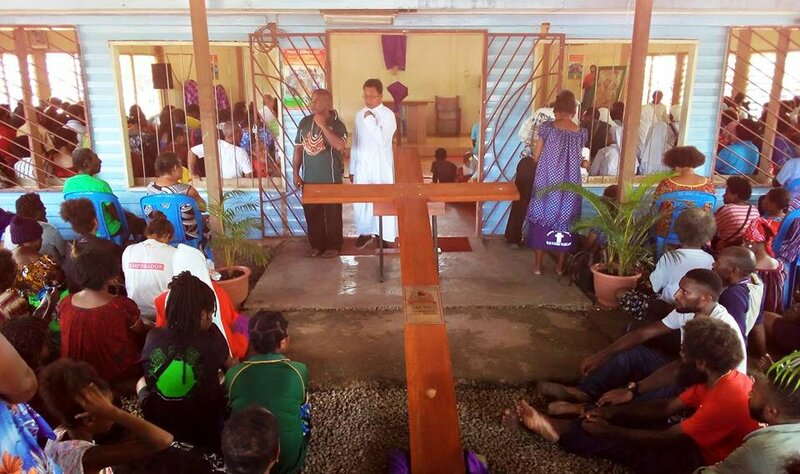 The annual Way of the Cross walk in Port Moresby today to mark Easter comes with a message calling on everybody to work together in the Archdiocese. Fr. Dong Pime, the Youth Chaplain of the Archdiocese of Port Moresby said the message is simply doing more in the archdiocese responsibilities by working together with the churches, youths and other organisations to serve the need of the people through church work. 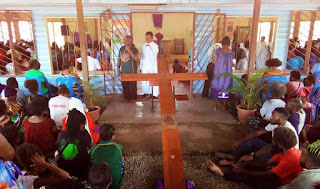 Fr Dong was speaking before the start of the Good Friday mass at the St Paul Parish Church at Gerehu Stage Six where the walk ended after starting at the Waigani Parish Church this morning. The walk today also saw people of all works of life, youths, school students and even inmates taking part to mark this special event in the Christian calendar.